The economy and plans to save South Africa from a recession seems to be the big issue raised as political parties and experts await President Jacob Zuma's State of the nation address Thursday evening. Parliament itself is heeding the call for tighter belts and saving money. 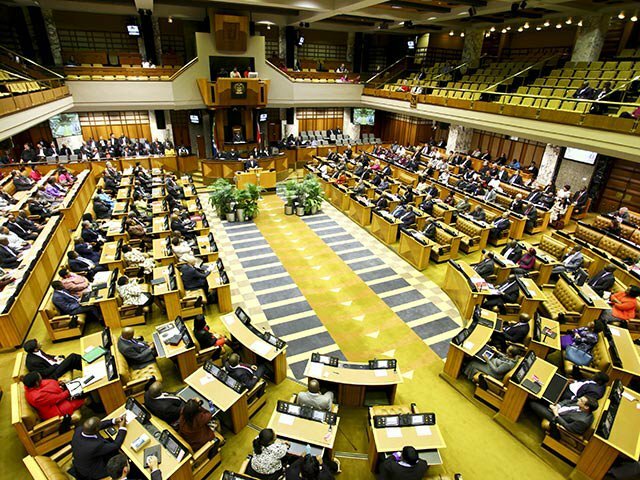 Secretary to Parliament Gengezi Mgidlana said there would be no lavish parties to start off the new legislative year. "We have cut the dinner and we have also cut other kinds of services so our budget is reduced drastically," he said. Mgidlana was also unconcerned about threats by the EFF to disrupt proceedings, saying parties have all agreed to a Code of Conduct. "SONA is a very special event where the president delivers the programme of government for the year. That is the only order of business," he said. EFF leader Julius Malema last week said they will step in if President Zuma did not start his address to the nation with an explanation as to why he fired Nhlanhla Nene as Finance Minister. Following the announcement of Nene's sacking, the rand plummeted to record lows, with South Africa on the brink of junk status. President Zuma's address now comes on the back of dire warnings by ratings agencies about South Africa's growth prospects for the coming year. Economic growth will struggle to top 1 percent and a recession seems to be a real possibility. Unemployment remains stubbornly high and with this being an elections year, President Zuma will be sure to remind the electorate what needs to be done and what government promises to do.